Bangsaen Street Circuit is celebrating its 10th year anniversary, and you are invited! 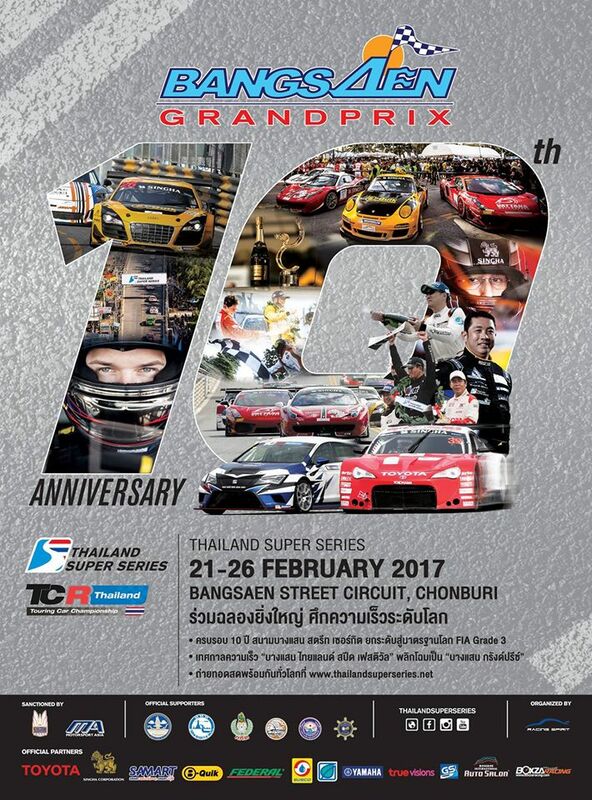 Come and join us while we celebrate Thailand’s historical motorsport legacy, followed by the last race of the world class Thailand Super Series on February 21-26, 2017 ! Spread the word. Free Entry! ☆ Celebrate Bangsaen Street Circuit’s 10th anniversary in style, with our newly appointed FIA Grade 3 circuit standards! ☆ Bangsaen Thailand Speed Festival will be changing its name to Bangsaen Grand Prix – The premier festival of speed where the world is watching!